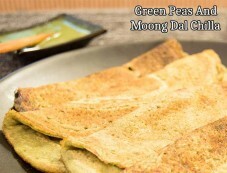 Green peas and moong dal chilla is a well-known dish, especially in North India. It is also popularly known as street-food. 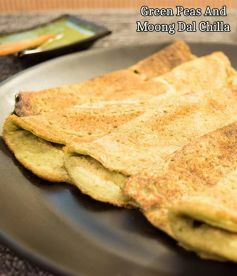 The South Indian version of it can be called pesarattu or dose. It looks like pan cakes or crepes.